Comedian Lou Perez joins Matt Kibbe to talk about the need for humor in an increasingly humorless political environment. Rep. Denver Riggleman quickly learns that voting in Congress is not always black and white. In fact, it’s pretty grey. Rep. Thomas Massie (KY-4) joins Matt Kibbe to talk science fiction, economics, and the Green New Deal. Robby Soave joins Matt Kibbe for a discussion on identity politics. Is the new radical Left’s trigger warning culture imploding? Universal gun background checks would not have prevented a single mass public shooting in recent years. Instead, they stop law-abiding citizens from owning a gun, most often poor people and minorities. Matt Kibbe offers Glenn Beck a peek behind the libertarian curtain, where they discuss the War on Drugs, socialism, and why some libertarians keep driving potential allies away. 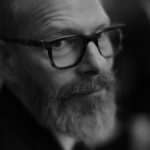 Matt Kibbe and his crew of filmmakers are invited to Belgrade, Serbia. They hook up with local friend and guide, Petar, to learn about Belgrade's communist past and sample some amazing food, drink, and culture. The Kibbe on Liberty studio is still under construction. The production team is still working out kinks. Nothing is perfect, but we’re leaking this bonus episode anyways. U.S. Middle East policy has become so unbalanced in recent years, but Rep. Thomas Massie and Sen. Rand Paul are trying to change that.